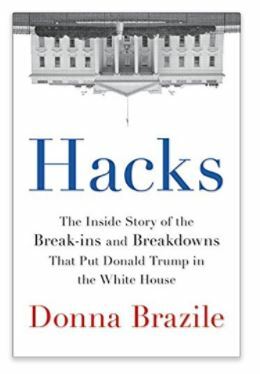 Donna Brazile’s new memoir, Hacks, has exposed Hillary Clinton for what she really is – a corrupt manipulative politician. Brazile is the former Democratic party leader. Behind the curtain, she is known as a foul-mouth boldface liar. Now Brazile’s book, reveals that Clinton took control of the party long before deciding who would be the Democrat final candidate. This is what the Clinton’s have been known for – behind-the-scenes manipulation. Clinton knew that the Democratic party was heavily in debt. Brazile describes Hillary’s acquisition of the party as an extortion. The Party left behind by Barack Obama inherited $24 million debt of which $15 million was bank debt, and $8 million was owed by the party to suppliers who had not been paid. In real terms, the Democratic Party was bankrupt confirming what our models had been forecasting about the decline in that party. It was rescued by the Clintons, who had collected massive campaign contributions through their own promises and the use of the State Department. The Clintons steered the party to ensure the nomination would be Hillary’s alone. Clinton secretly took control of the strategy, finances, and staffing of the Democratic Party. That claim has been supported by the publication of fundraising agreements in question. Clinton ensured that Bernie would lose. That is why he went to the White House and met with Obama. Only after that meeting did Bernie appear to support Hillary. Brazile has revealed that the Democrats suffer from “internal corruption”. The Clinton campaign was keeping the bankrupt Democratic Party alive with their monthly grants. Hillary did not campaign against Trump in many areas because she knew the fix was in. At the same time, the campaign had used the party to circumvent the statutory limits on a number of campaign donations. These limits are much higher for donations to party organizations than for presidential candidates. That, of course, was criminal. Senator Elizabeth Warren has openly admitted with Brazil’s statement that Clinton’s rigging of the Democratic Party had hurt her. The primaries were “manipulated,” Warren said on demand on CNN. Warren said that the party must immediately move to a fair deal with all candidates so as not to become marginalized. Hillary is running around the world blaming everyone but herself when she manipulated everything to get the nomination and the blame reflects the fact that she had it all rigged so in her mind she was entitled to win. Hillary is in London even blaming Nigel Farage and BREXIT. 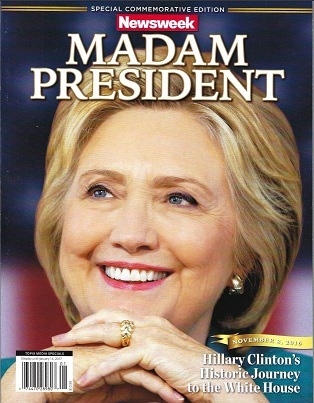 It certainly appears she is either on this vast ego trip, or she is so deranged, she actually believes that she can run again.